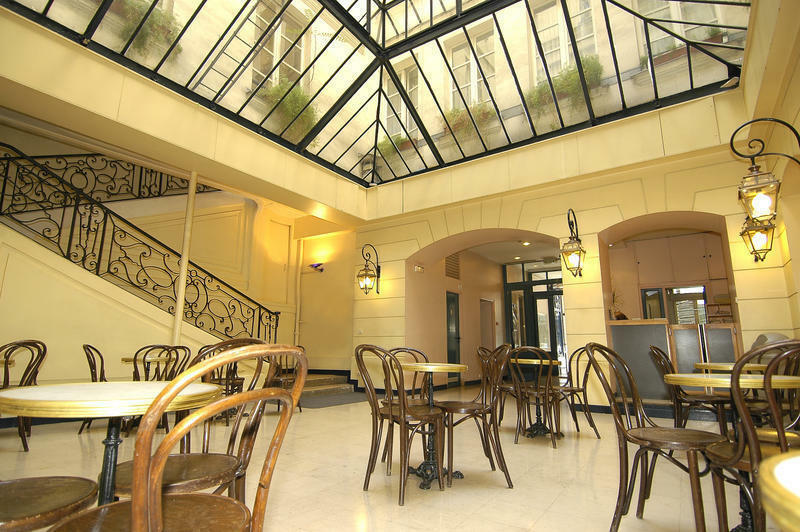 The BEST LOCATED youth hostel of the city, OPEN 24H NON STOP, in the safest district of the city, just a few meters closed to LOUVRE MUSEUM and ROYAL PALACE GARDEN, Hostel des 2 Empereurs is still a VERY SIMPLE & BASIC Youth Hostel, where you will find JUST THE NECESSARY : bunk beds, 5 floors, no lift, no elevator, no kitchen, facilities to share on the floor, lockers for 2 Euros behind the reception, towels for 4 Euros, and internet since 0,80 Euros per our ! A free early breakfast, no lock-out, no curfew, free linen-blankets-pillows changed on first request at the reception desk. Intended since 1948 for students, teachers, school groups, and youth travellers from 15 till 35 years old... for a 5 stars Palace, the silence of a church or a romantic honey moon.... Honestly you made the wrong choice. You should find a an other adress !! !